THE GUIDE WILL BE UPDATED REGULARLY UNTIL 1ST BOISHAK. ENJOY! 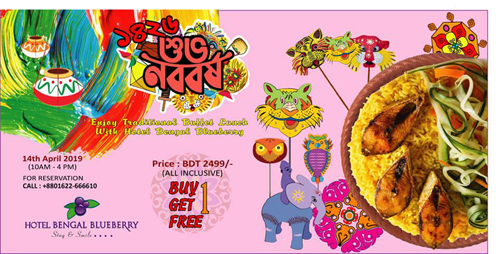 Let's Celebrate Your Pohela Boishakh with us and try our Boishakh Special Platter Smoked Hilsha Platter! T&C apply. 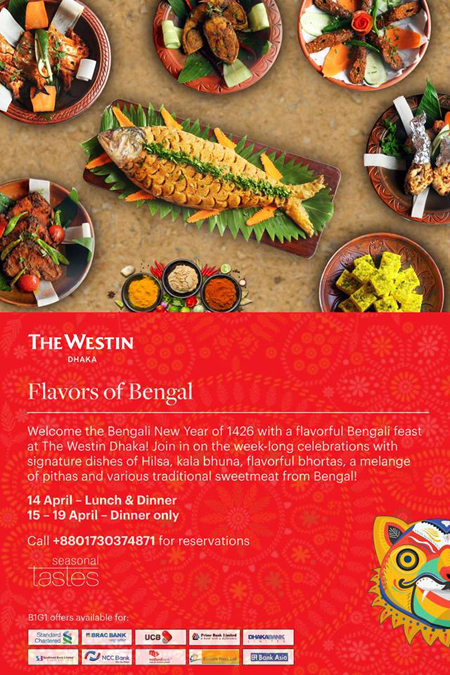 Celebrate the beginning of the Bengali new year with a delightful 5 course special meal to brighten up your Boishakh. Come over to UMAI now for an authentic Japanese experience! 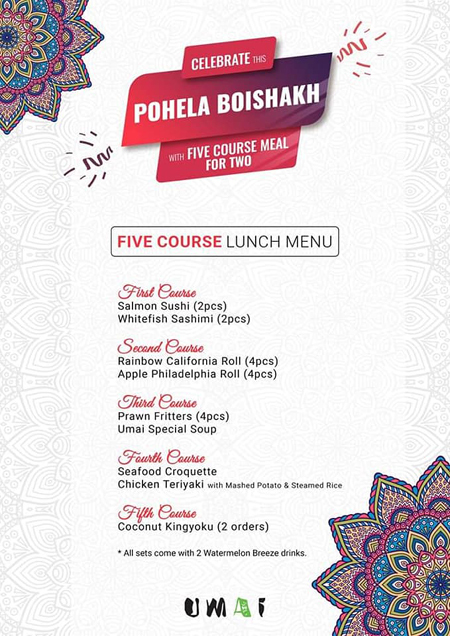 Pohela Boishakh Special offer for two is available on both 13th and 14th April, 2019 only at BDT 4500++ for a 5 course lunch menu and at BDT 5500++ for a 5 course all day menu. The wait is over and it is time to break out in feasting and festivities again! Join the grandest celebration in the country by spending a day of elaborate activities with us over our Extended Buffet Lunch/Dinner accompanied by live baul music, face painting, games, cotton candy, and more. Call +8801713332661 NOW to book your experience! 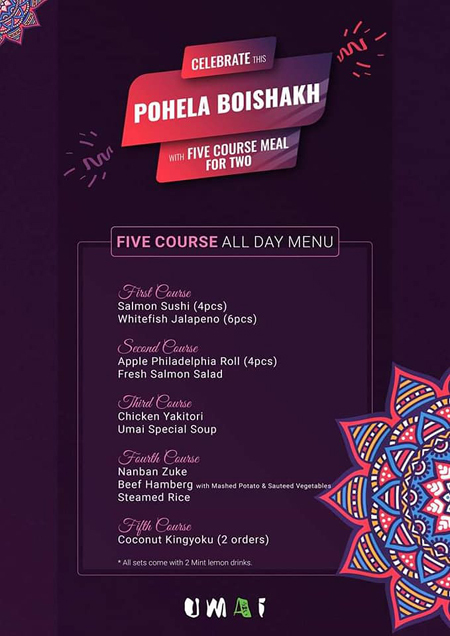 InterContinental Dhaka invites you to join "BOISHAKHI SHORGOL" at Elements! 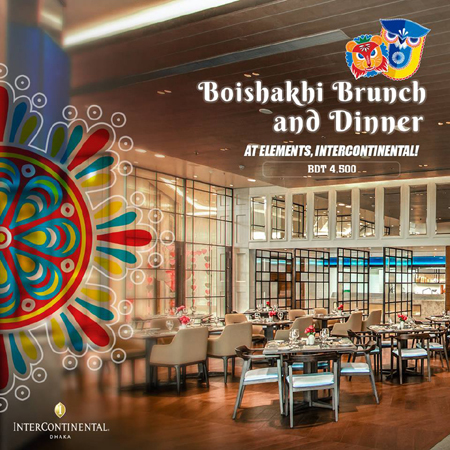 To take your Pahela Boishakh celebrations to a whole new level, InterContinental Dhaka is hosting an exclusive traditional buffet at Elements! 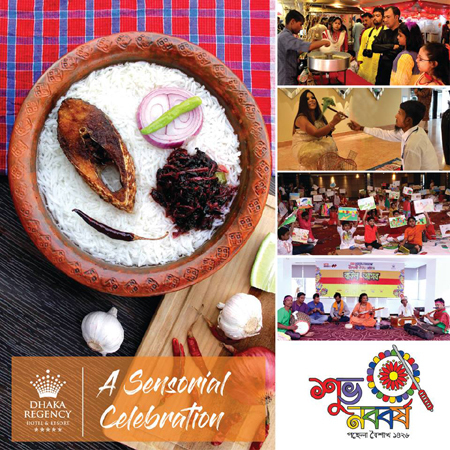 Start your day with the mongol shobhajatra, enjoy the soothing music at Ramna, soak in the festivities and then head over to InterContinental Dhaka for a sumptuous buffet brunch or dinner featuring traditional food like panta ilish, chingri bhorta and many other local delicacies. Available for brunch and dinner each at BDT 4500 per person. 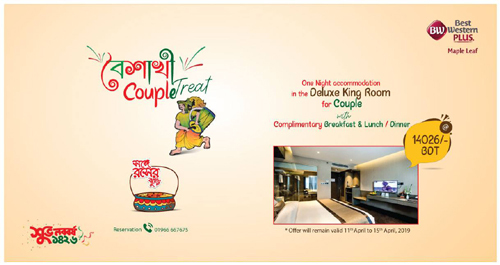 So save your appetite and enjoy a memorable Pahela Boishakh meal with your dear ones at InterContinental Dhaka! 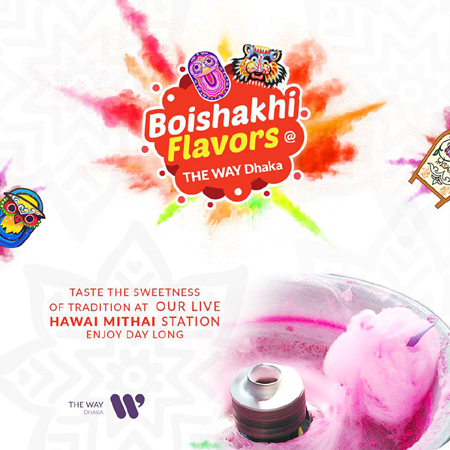 Celebrate the colors of Boishakhi festivity at THE WAY Dhaka. 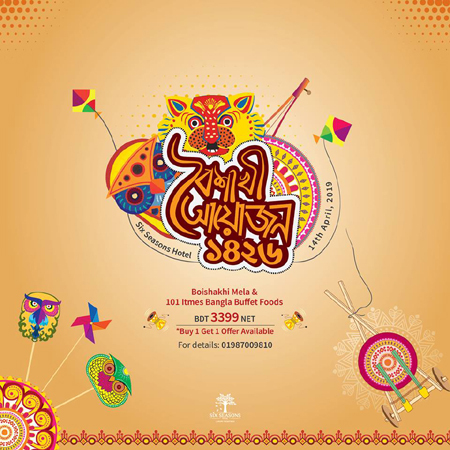 Start off your Boishakh day with our varieties of Boishakhi activities happening from the morning till night at our hotel premise. 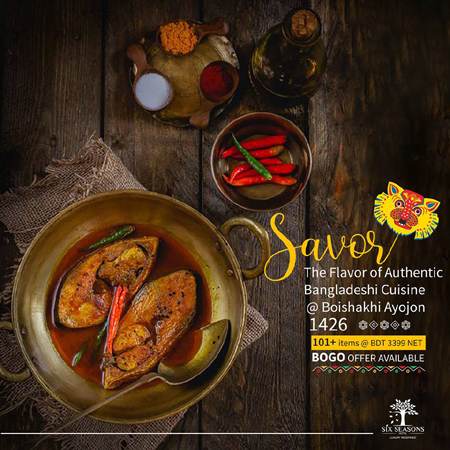 Enjoy a sensational buffet experience with our breakfast, lunch and dinner offer, featuring the most delicious and iconic Bengali dishes. 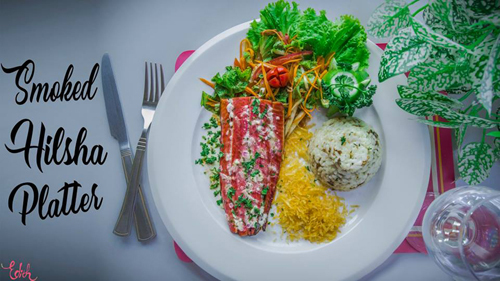 Prepared by our team of expert chefs and served to you at our signature sky view restaurant Top of The Way. With our special Boishakhi offer you can enjoy 1 complimentary meal with group bookings of 8 people, & enjoy 2 complimentary meals with group bookings of 12 people at any of our Boishakhi buffet offerings. 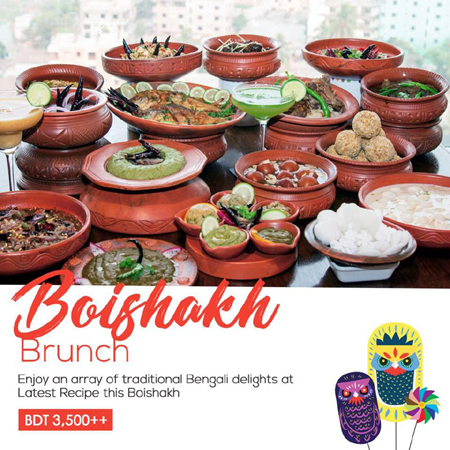 Celebrate the perfect Boishakhi experience only at THE WAY Dhaka and make amazing memories to cherish for the year to come. BOGO offer is applicable on selected cards. 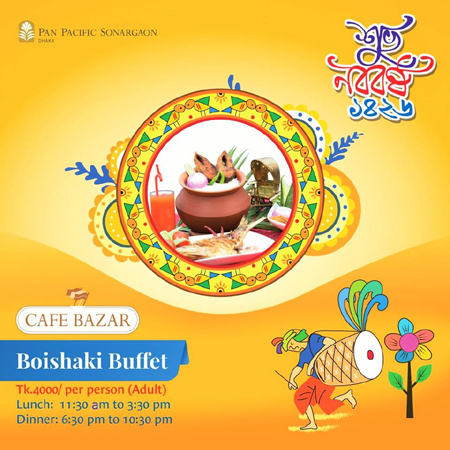 Celebrate and Explore the Festive Colours of Baishakh at Cafe Bazar of Pan Pacific Sonargaon Dhaka! BOGO offer is available Prime Bank’s Platinum, Master World Credit Cardholders & Monarch Customers, Standard Chartered Bank’s Signature, Platinum, Titanium Credit Card and Priority Banking Debit Cardholders and United Commercial Bank’s Gold & Platinum Credit Cardholders. 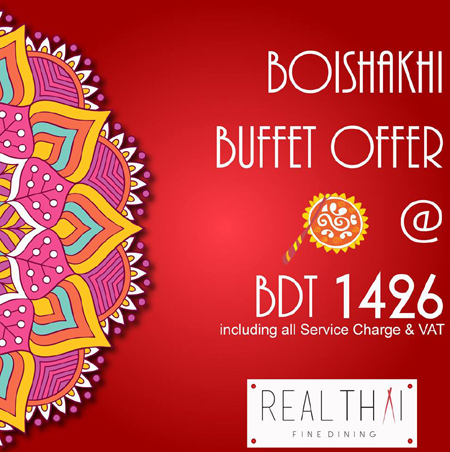 Welcome the Bengali New Year of 1426 with a flavorful Buffet Feast in Real Thai at BDT. 1426! 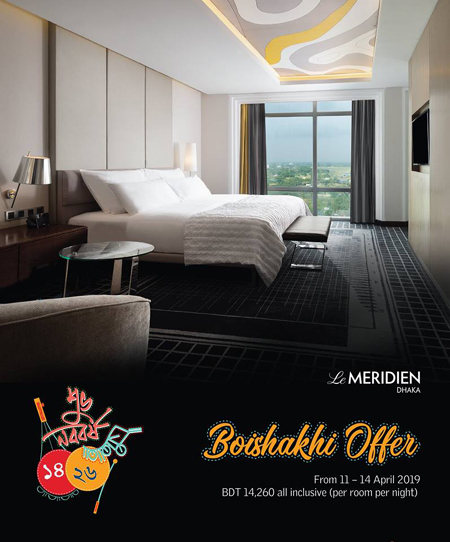 Le Méridien Dhaka is celebrating the first day of the Bengali New Year 1426 with food, joy and colour. 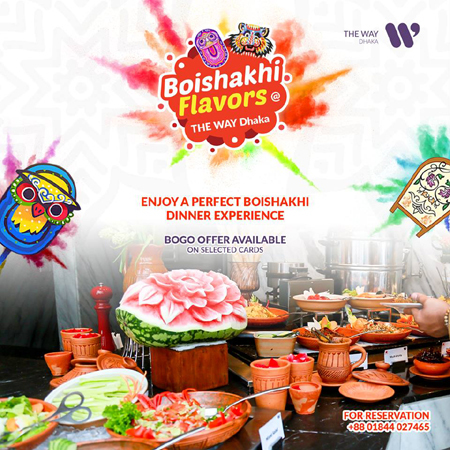 Enjoy a festive extravaganza with live folk music, face painting, Boishakh themed decor - and of course, exclusive traditional Boishakh themed buffet dinner. Bell and kacha amer shorbat, varieties of shutki bhorta, deshi style hash bhuna, local style cooked fish, jhal muri and fuchka, halua, pitha, mishti, doi, shahi firni etc. 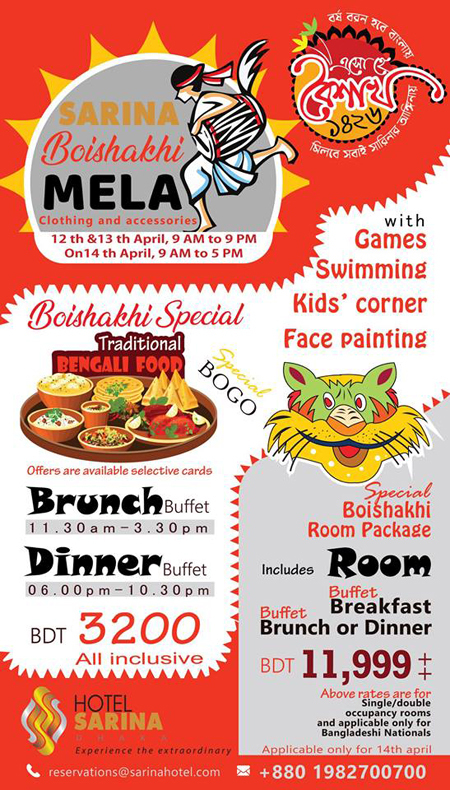 Exclusive Bengali/Boishakh themed buffet brunch at BDT 3,500++/Person at Latest Recipe. Buffet dinner at BDT 3,900++/Person at Latest Recipe. Make Prior Reservation to avoid last minute Disappointment. 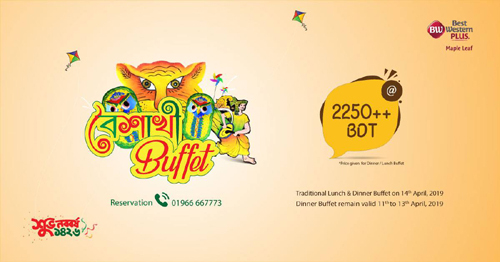 Traditional Lunch & Dinner Buffet on 14th April, 2019. Dinner Buffet remain valid 11th to 13th April, 2019. Best Boishakhi Deals in Dhaka, Bangladesh. Copyright © 2009-2019 DhakaSnob.com. All rights reserved.